Preeclampsia survivors Marissa and Stephanie Steiner are the Foundation’s only official mother-daughter coordinating team, leading one of the largest Promise Walks in the country in Cranford, NJ. As the Foundation’s youngest co-coordinator, 16-year-old Marissa began leading the Cranford event when she was 12. Both mother and daughter exemplify the Foundation’s values, volunteering countless hours, recruiting, mentoring others, raising contributions, and advocating for greater involvement and support for the education of women, healthcare professionals, and politicians. Their advocacy has extended to the state and national levels, where they have met with the governor of New Jersey, US Congress members, mayors, and many local representatives who added their support for the Promise Walks and the need for greater education and financial support for the Preeclampsia Foundation. They are honored to volunteer together, but more importantly to work toward a vision of a future where Marissa’s generation will no longer be threatened by preeclampsia. In the final weeks of my pregnancy with Marissa at the end of 1999, my face, hands, and feet swelled tremendously, my blood pressure was very high, and there was protein in my urine. A few hours before Marissa was born (and only luckily because I had a scheduled ultrasound that day), we were surprised to learn that there was little amniotic fluid left and our baby must be delivered immediately. What we still hadn't learned was that I had preeclampsia. Well, the next 24-48 hours were quite scary for my husband David and I. Marissa was born on December 9, 1999, at 34 weeks; she weighed 3 pounds, 5 ounces and had to be in the NICU for 22 days. Luckily, Marissa turned out to be healthy although too small for her gestational age (IUGR). It was a scary few weeks but thankfully she was a fighter and became strong and healthy – she came home to ring in the new millennium with us on December 31, 1999. I, on the other hand, was very sick. I had extremely high blood pressure just prior to delivery (200/140) and even after Marissa was delivered, I had to have a magnesium drip. I couldn't hold Marissa after delivery. While still in recovery, the day after Marissa was born, David and I learned from many of the doctors who were present for our daughter’s delivery (which was an emergency C-section) that Marissa and I were both lucky to be alive. David was told we almost didn't make it. I had severe preeclampsia that went undiagnosed until delivery. I continued to have postpartum preeclampsia-related issues and complications, and saw many specialists for months following Marissa’s birth. Why do you volunteer for the Preeclampsia Foundation? I learned how lucky I am to be here today and this is why I want to make people aware of the scary effects of preeclampsia. I believe that with more public and professional awareness and research, expectant mothers and doctors will be better educated and more aware, therefore saving more lives. What does it mean to you to be awarded the 2015 "Walk Coordinator of the Year" Award? I do not volunteer to win any awards, or for any recognition. It is certainly so nice to be recognized for all of my efforts but I would still do this regardless. However, if receiving this award will help raise more awareness, then that is an added benefit! I am so happy and proud that Marissa is being recognized for all of her time, hard work, and dedication to this cause. It will reinforce how important it is to work to help others. I am so proud of Marissa for being so selfless and giving of her time at such a young age. How many teenagers would be willing to give up so much of their time to give back to such an important cause? Lastly, I am honored and proud to receive this award WITH Marissa, and to know that our hard work is making a difference, not only in New Jersey but nationwide as well. So special to share this with my miracle baby. So proud of her dedication, compassion, and hard work. Each year we have grown in numbers, which means the amount of community support and awareness keeps increasing. It's tremendous and so gratifying! It has also been so gratifying to have Marissa volunteer again year after year...she started as a volunteer because of her mitzvah project but has continued to choose to volunteer year after year. That makes me so proud of the impact she is having throughout New Jersey and to her peers. Although I unfortunately cannot organize the New Jersey walk in 2016 (due to our son Andrew's Bar Mitzvah in May), I plan to still help out and provide any necessary guidance. Hi, I'm Marissa Steiner, the junior co-coordinator of the Cranford, New Jersey Promise Walk for Preeclampsia. I started volunteering for the Preeclampsia Foundation in 2012 for my mitzvah project for my Bat Mitzvah and have continued to coordinate this walk with my mom through 2015. I hope to stay involved this year with the New Jersey walk and on a national level by being a resource to other coordinators nationwide. I am currently a 10th grader at Jonathan Dayton High School in Springfield, New Jersey, and also volunteer at Children's Specialized Hospital in Mountainside. I’m part of the Volunteer club at my school, as well as Spanish club and Medical Careers club. I’m a competitive synchronized skater for Precisely Right, and I travel all over the East Coast for competitions. I have learned "tikkun olam" (the act of repairing the world) at Camp Harlam, where I have spent my past six summers, and I hope to return to be a counselor in the future. Although I am very busy (as you can probably tell), I still love to put forth energy and time to volunteer for the Preeclampsia Foundation. I’m willing to give up some of my social life and time to give back to charity, especially the Preeclampsia Foundation. My mom (Stephanie) had preeclampsia when she was pregnant with me, as well as after delivery. 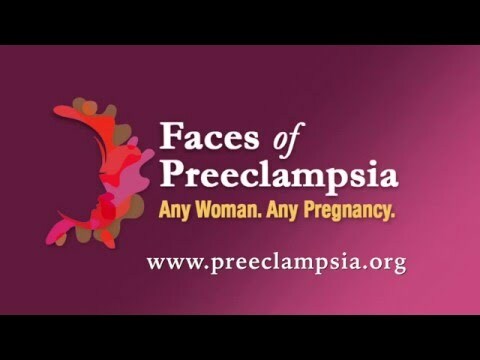 It was not diagnosed until delivery (at 34 weeks) and I have grown up all my life learning and hearing about preeclampsia from my mom, and now I have been trying to spread the awareness as well. I know that preeclampsia is a serious and common pregnancy disorder and that many mothers and babies aren't as lucky as my mom and I were. I want to make sure that nobody has to go through what we did, or worse. I want to help raise awareness, and find a cause and a cure for preeclampsia. This honestly means everything to me. Since 2012, I've put so much work into the Promise Walks and I realize how much work truly goes into planning them. Each year, seeing an amazing turnout at the Cranford walk makes everything pay off and I know I'm making a difference. I couldn't be happier with how our walks have grown and how much awareness is being raised. I know that somewhere and eventually, my efforts, along with my mom’s, are saving lives. In 2013, our walk was phenomenal! Well, despite the torrential downpour we experienced. However, our walk still had amazing support and participation (around 350 participants), only losing about 15 participants walk day due to the weather. It was great to see everyone banding together to help raise awareness for preeclampsia. I loved that people still came out during the rain to support the Promise Walks! It really showed how much this walk and this cause means to everyone, and how important it is to continue to raise awareness, even if the weather was not as we hoped for. I hope that our walk will continue to grow and still make a huge difference in the community and impact the lives of many people, and to teach others the importance of raising awareness and helping find a cause and a cure.